How to Read PDF on Sony Reader as EPUB eBooks? Sony Reader is a line of eBook readers intended for reading digital publications of a variety of formats, similar to the Amazon Kindle. All versions of Sony Reader are compatible with several digital publication file types, including the popular EPUB eBooks, and some newer PDFs. But some older PDFs may not display properly if they are not created to PDF5 standard. Sony eBook Reader now uses Adobe Digital Editions (sort of Adobe Acrobat Reader) to help people read PDF files. However, colored illustrations in PDF ebooks, magazines and technical manuals will only appear in black and white. Therefore, many users prefer to convert PDFs to EPUB format, which help to get content in smaller file sizes and read PDF content in a more enjoyable style. To Convert PDF to EPUB eBook for reading on Sony Reader, you need some PDF conversion tools such as PDFMate to help you out. PDFMate Free PDF Converter is a free but powerful application for converting PDF to other popular formats of files such as EPUB eBooks, for reading PDF files on more popular devices. 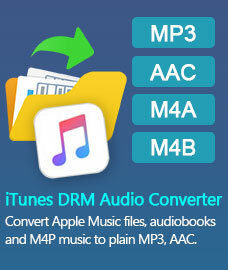 PDFMate Free PDF Converter is easy to use with a simple and clear interface. It supports batch conversion; and doesn't need Adobe Acrobat Reader to be installed. 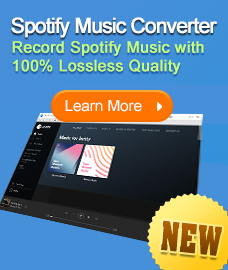 Download Free PDF Converter, install and run it. View Screenshot image. Click "Add PDF" button to add PDF files for your PDF to EPUB conversion. This Free PDF Converter enables to convert PDF files in batches, therefore you can import as many as hundreds of files at one time. On the output format pane, choose the "EPUB "format for converting PDF to EPUB eBooks. You can also customize output in "Advanced Setting", so that to extract all content from PDF to EPUB eBooks just the same with the original, or make new content from the original PDFs without images, hyperlinks, etc. Click the button "Convert" and you can convert your PDF to EPUB eBooks within seconds. When conversion is finished, you can click "Open" button to check the destination folder and view the converted files Then load the original PDF content in EPUB format for reading on your Sony Reader. DRM-free Text: BBeB Book (LRF), TXT, RTF, EPUB (PRS-T1: EPUB, PDF, TXT only). Typefaces in PDF files formatted for 216 × 280 mm (8.5 × 11 inch) pages may be too small to read comfortably. Such files can be reformatted for the Reader screen size with Adobe Acrobat Professional, but not by Adobe Reader software. Microsoft Word DOC: Sony Reader does support Microsoft Word DOC format. The "CONNECT Reader" application uses Word to convert the .DOC files to RTF before sending them to the Reader. DRM-protected Text: BBeB Book (LRX); EPUB. How to Read PDF on iPad, iPhone, and iPod? How to Read PDF on Android Phones & Tablets? How to Read PDF on Amazon Kindle?